The Dee Buchanan Studio of Dance has been Middletown, MD’s home for dancers since 1992. Dee is a lifetime resident of Middletown, and she has developed her studio as a part of that community, participating in local events and holding concerts at the local high school. The studio’s ballet program is highlighted in annual performances of the Nutcracker Ballet; and the musical theatre program includes annual full-length musicals and theatre dance, acting and voice classes. The studio is home to dedicated competition and interfaith dance groups. 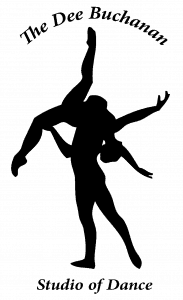 The staff embraces the wonderful variety of dance enthusiasts who come through the doors.